Let me start out by saying: I'm an actor, so criticizing other actors is not my thing. Also, I understand that with a series like this, the choices that are made are made by several people not just the lead actor him/herself. I say all of this because I've seen some scathing comments directed at Finn Jones. 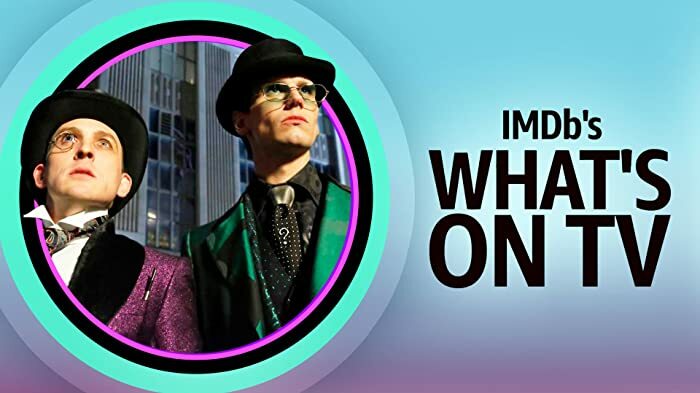 I very much enjoyed the series, and I still standby the idea that everything Marvel/Netflix has done absolutely dwarfs the CW/DC series on television..makes DC look like a childs coloring book. Even Marvel/Netflix at their weakest episodes is still better. The thing that leaves me slightly confused is simply: Why is every supporting character on Iron Fist so much more interesting, compelling and fleshed out THEN THE IRON FIST HIMSELF?!? I mean seriously it's bizarre, I've never seen anything like it. They could have made a show entirely based on Joy and Ward Meachum and it would've been more interesting then following Danny Rand. They could've made an entire show based around Colleen Wing..again..more interesting. Clare Temple. EVEN DAVOS who was only around for 3 eps! And so on and so forth. Before everyone throws Finn Jones to the wolves lets remember SOMEONE made the call to cast him so if you don't like his look..welp! nothing he can do about that..someone way above him thought he was the guy, then someone else wrote his character a certain way...full of holes and honestly rather bratty and childish. I get that Danny Rand, when we meet him, is in some way still the 10 year old kid from before the crash. Perhaps the thought process was that during that time in Kun Lin he didn't quite mature the same way Joy and Ward did...makes sense. But it's a fine line playing an imbecilic child and a grown man with deep vulnerabilities and fears. Danny's outbursts of anger were almost laughable..he looked like a child throwing a temper tantrum. Now compare that to the actor who played Davos. He had the same issue...these bursts of anger from residual issues. But when his burst forth, it wasn't funny, you knew something was deeply wrong here. The point is, this is a solidly good show, but it's main character is the weakest and least fleshed out and thats excusing the pathetic and confusing excuse for a villain Harold Meachum. 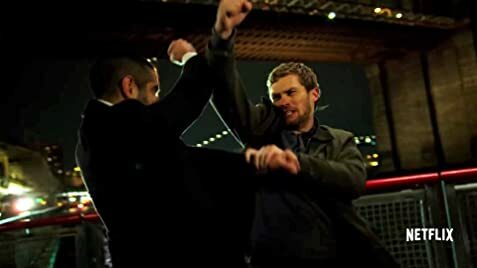 For everyone throwing darts at this series, I guarantee they like everything EXCEPT...The Iron Fist. Lewis Tan initially auditioned for the role of Danny Rand/Iron Fist before being cast as Zhou Cheng. Rand commits numerous state level as well as federal offenses, including battery, breaking & entering, theft,kidnapping and passport fraud. Yet by the last episode, he is stated to "only" be facing assault charges against the DEA agents who came to raid Colleen Wing's studio. Even being a billionaire, it's a virtual certainty that his crimes wouldn't have been "forgotten" by the authorities, much less "forgiven." Each episode in Season 2 is named after an Iron Fist comic, and appear as storefront signs.